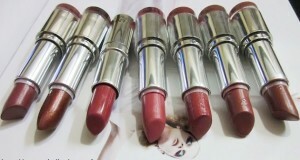 I will review the recently launched Elle 18 color boost lipsticks. I have already reviewed these on my other blog but I thought that people who are not aware about that blog should read the review here. 🙂 These lipsticks claims to give the lasting lip color for up to 6 hours. 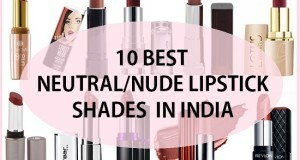 These lipsticks have shades like the Pinks, Reds, Oranges and neutral. 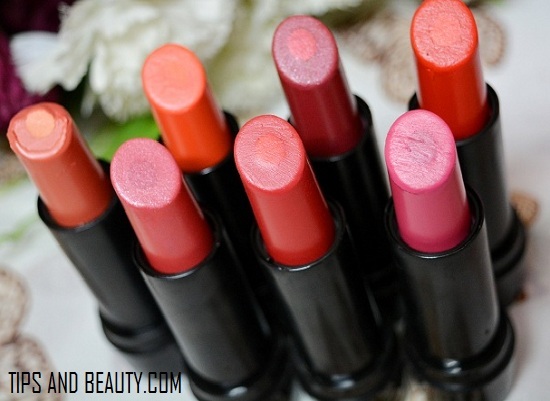 Elle 18 color boost lipsticks have 10 exciting shades to choose and I have 7 of them with me. 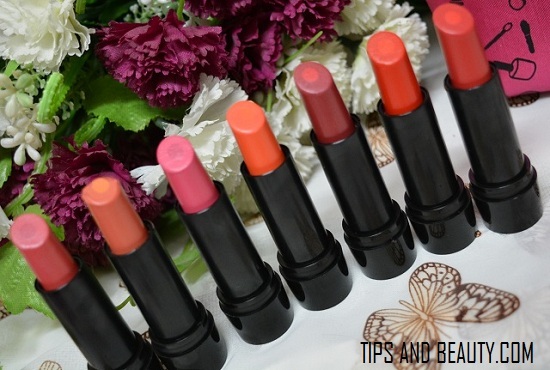 So, I will review these color boost lipsticks today. 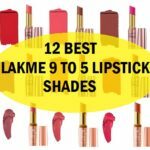 I have the Elle 18 color boost lipsticks in shades like Miss Pink, Hollywood Pink, Blonde Pink, Hyper orange, Coral Nud, Red passion and Supercilious Red. I like that Elle 18 products are very inexpensive and can be tried by everyone. This is why this range is great for teenage girls. 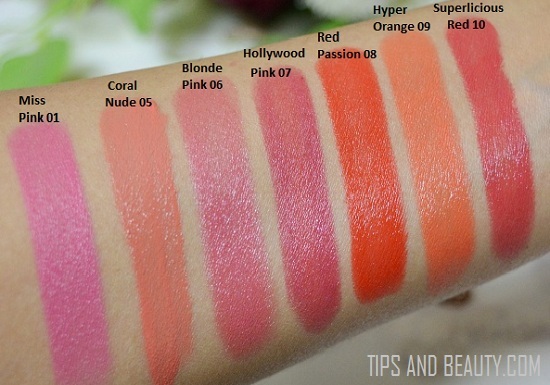 Price of Elle 18 Color Boost Lipsticks: These are for 150 rupees each. 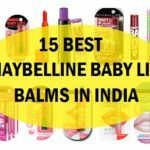 They are very inexpensive and goo for girls who are on budget but would like to buy products which are of good quality and cheap price. Miss Pink is a shade of oink with some mauve color mix. It has cool undertones and gives a nice soft color on the lips. This color is beautiful but it will wash out the girls with dark complexion as the warmth isn’t there in this color it is best suitable for fair skin tones. 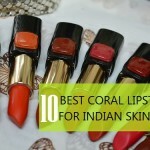 Coral nud is a very soft lip balm like neutral color shade that can suit only the girls with fair skin tones since it is too light for the medium, wheatish and dusky complexion. 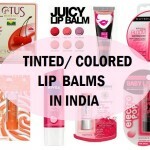 This is very moisturizing and fells exactly like the Lakme lip love lip balms. 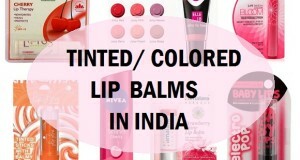 Just like the tinted or colored lip balms. Blonde Pink is a soft and subtle lipstick shade. If you are looking for a lip color for daily use or something that you can wear daily to your college then this is the color. 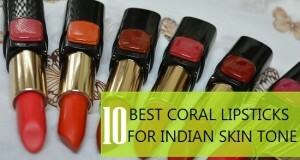 it will look good on every skin tone and give brightening effect on the face. 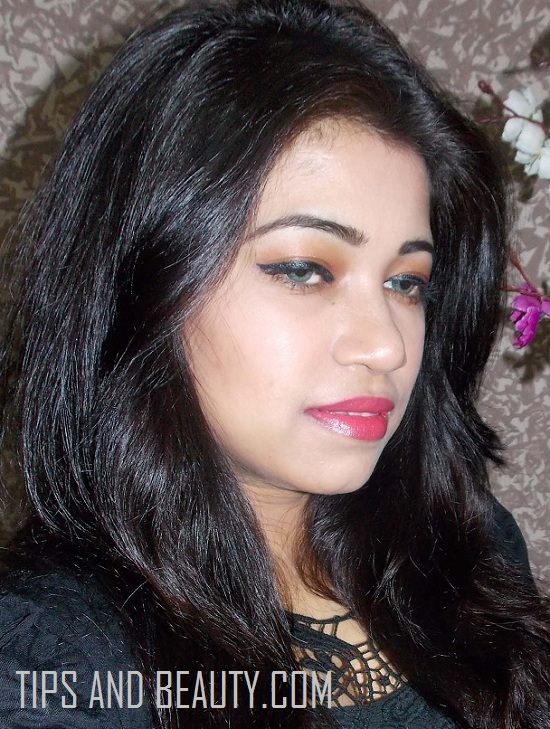 This color boost lipstick shade is a very natural looking pink for all the girls. Hollywood pink lipstick from Color boost range is a darker version of the Blonde pink lipstick color. it is very beautiful and natural looking. It will look good on everyone and can be used daily. 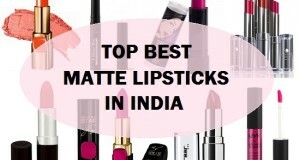 This lipstick too is very moisturizing and gorgeous looking. Red passion is an absolutely beautiful orange-ish red color. This is color that can instantly brighten ups the face and looks amazing on all the girls with fair, medium or dark complexions. This can be worn to a date, party etc. Hyper orange is a soft peachy orange that will suit medium to fair skin as this color will be too light for the dark skin complexion. Just a tip for dark skin complexions you should colors that have warmth in them. Those colors really look stunning on dusky beauties. 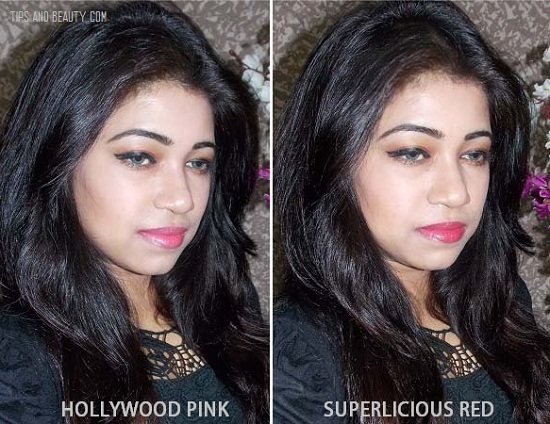 Superlicious Red is very pretty soft red or coral lipstick shade for Indian skin tone, I should say. It will look great on all the girls and can be used for day time and college or for other occasions. This lipstick too is very moisturizing. In fact they all are very hydrating. I loved them. Not too pigmented so you will need to apply 2-3 times to get good color. 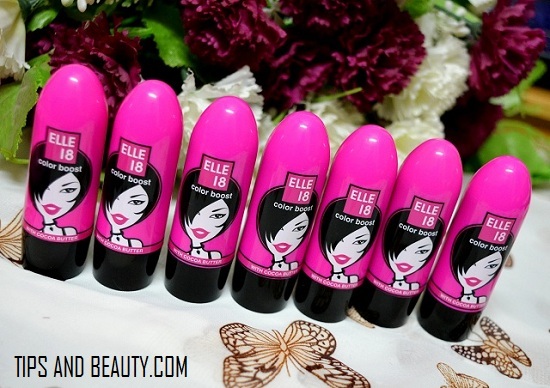 Elle 18 Color Boost Lipsticks are good and inexpensive lipsticks with very cute girly packaging. some of you may not like the packaging but the pink case will entice the young girls. The colors are not too pigmented or bright but something that can be used every day to college. 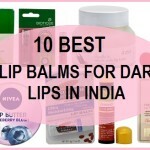 They give good moisturization to the lips without making them dry. The colors are full on moisturization hence it is great for winters too. I will suggest you to get a least one and try them. 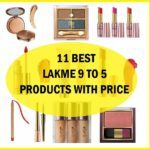 I like to wear makeup,nd to know new products in market..i am college going girl..i hav oily acnepronskin..
You can try light water based foundations from lakme that will not clog the pores and for lipsticks you can try these Colorboost lipsticks from Elle 18 they have everyday wear subtle colors for college. Try waterproof eyeliner or gel liner from Maybelline, if you wish. My skin is very sensitive and dry as well. Which brand of cosmetics can I use, please let me know. I can’t suggest a single brand since every brand a lot of products out of which some are good of oily skin while other product works well for dry skin.